The HP Color LaserJet CM1312nfi Multifunction Printer delivers print shop quality color and monochrome documents, plus scanning, faxing, and copying. The HP Color LaserJet CM1312nfi Multifunction Printer delivers print shop quality color and monochrome documents, plus scanning, faxing, and copying. This all-in-one boasts print speeds up to 21ppm in color and up to 8ppm in B&W. HP's embedded ImageREt 3600 technology works with 4 individual toner cartridges to deliver beautiful documents with sharp text and graphics and vibrant colors. 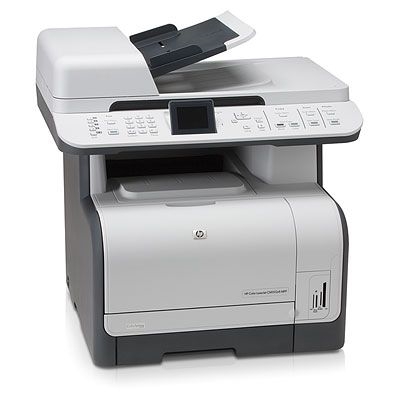 The CM1312nfi is has a built-in Ethernet connection so you can share the printer with multiple computers on your network.